Are you struggling to get high-quality roofing leads? If so, it is time to change up your marketing strategy. Many roofing contractors opt to use newspaper ads in their quest to generate roofing leads. But the return on investment of this strategy is plummeting. In 2015, U.S. newspaper circulation dropped 7%. The trend looks as if it will continue for years to come. You can still incorporate traditional advertisement into your marketing strategy. However, the fact is that there are more effective steps you need to take to generate more leads. Though finding roofing leads can seem like a difficult task, do not fret. If you want to know how you can get more roofing leads, keep reading. This guide will get you on the right path. You will not get very far if you do not know who you are selling to. Therefore, you need to narrow down your target market in order to craft a successful marketing strategy. This starts with determining your buyer persona. So, what is your buyer persona? It is a somewhat fictional representation of your firms’ ideal customer. It is determined through research and analysis. Creating buyer personas improves the quality of your leads tenfold. The reason for this is that once you know your customers, you can craft a strategy that targets them specifically. There is no reason to waste time and resources on people who will never buy your service. Once you have your buyer persona, you will be able to identify where your potential leads are online. As a result, your return on investment will skyrocket. Remember to get as detailed as possible. Look for trends among your potential customers. Interview prospects if you have to, whether by phone or face to face. This information is vital, so gather as much as you possibly can to craft these personas. In today’s world, you will find it very difficult to get leads without a good website. It is the first interaction that many customers will have with your roofing business, so you want to make it count. If you want to generate roofing leads, you must be willing to invest significant money in the o website of your business. There is no way around it. However, once you have a website, you need to provide visitors with fresh content on the regular basis. You cannot let visitors think that your site is dead, or that its owners could not care less about it. It reflects poorly on your business. Once you have a great website set up, it is time to invest in local SEO. 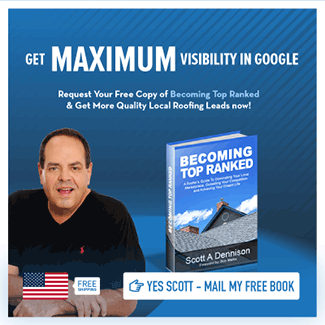 This is one of the best ways to generate roofing leads. SEO is a practice used by many businesses to increase their rankings on search engines like Google. Local SEO just takes it one step further and focuses on local results. It helps local customers find your business. The primary benefit of using local SEO is that you can target your customers more effectively. Only people who are truly interested in your services will visit your website. This will help optimize your conversion rate. However, most businesses do not know how to approach local SEO or SEO in general. So what can you do if you are clueless about SEO? You do not have to construct an SEO strategy alone. You can also look into SEO services. If you feel uncomfortable doing it on your own, leave the work in the hands of knowledgeable SEO professionals. On search engines, you will find both organic search results and paid search results. Search engines will usually feature paid results at the top of your page, whereas organic results will be about one-quarter of the way down the page. When trying to generate leads organically, businesses use various SEO techniques. However, there is a way to generate leads through paid search results as well. This method is referred to as pay-per-click (PPC). Most people use Google AdWords for PPC. With AdWords, you only pay Google when someone clicks on your link. But you have to decide whether AdWords is worth it for your business. For example, if you pay $2 a click, and it takes 20 clicks to convert your customer into making a $500 purchase, you can likely justify using AdWords for your business. But, depending how your site is set up, your PPC strategy might not be as easy as that example. Still, PPC is a very effective strategy for businesses looking to get more roofing leads. The problem many businesses run into, however, is that they do not know how to use PPC properly. What happens at this point? The businesses give up on AdWords entirely. This is a huge mistake. Maybe you have trouble using AdWords, or maybe you just do not have the time to manage your AdWords account. But neither is a good reason to quit using it. If either of these applies to you, then you may need an AdWords management service. This will ensure that you get the most out of your PPC. However, if you choose to do it alone, you need to give your PPC time to succeed. Be patient and do not get distraught if it takes longer than you initially expected. 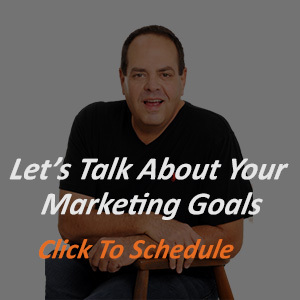 There is no reason to stress out about a lack of leads. Instead, there are many ways you can improve your situation. Generating roofing leads requires a well-developed strategy. If you can take the knowledge from above and implement it in your business, your lead numbers will see significant growth. Just remember the following: First, nail down your buyer persona and make your website. Next, utilize local SEO strategies and Google AdWords to bring more potential customers to your site. Feel free to contact us today for help with your SEO and lead generation needs. Make sure to check out our blog for quick tips you can apply today, as well as informative industry news.